Having lip gloss or balm or some chapstick on hand is always a must. Buying it from the store is not what I would consider “expensive”, but why pay dollars for something you can make for pennies? Melt Beeswax and Coconut Oil together in the microwave. Add in a few drops of Vitamin E. Pour into small tubs or tins and let cool for at least 20 minutes. It will start to harden quickly, don’t be slow about pouring it into containers. Clean up tip – wipe out as much as you can with a dry paper towel. The beeswax turns into a greasy mess when you pour water on it. Product tip – use food grade, edible ingredients. You might have to check the labels (not all Vitamin E Oil is edible) but since you’re putting it on your mouth why not make sure it’s ok to ingest – though I wouldn’t suggest taking a bite. Yes, but I’m not sure how much. Beeswax is generally sold by the pound so its a bit difficult to determine the cost of 2 teaspoons. 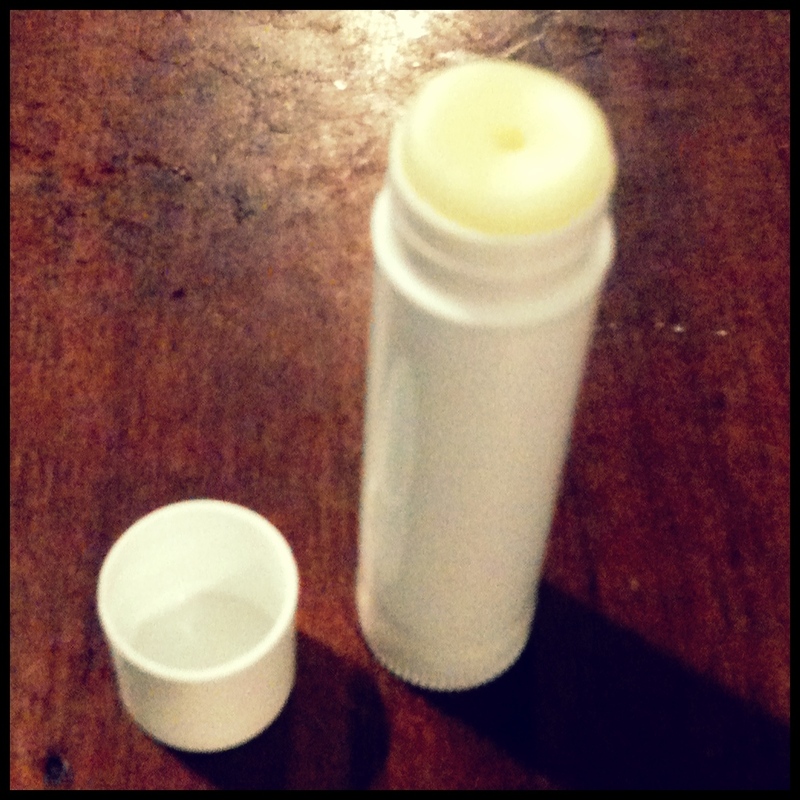 I wouldn’t recommend purchasing a whole block of beeswax just to make lip balm. It can also be used in lotions and other toiletry items. You’d have to make an awful lot of lip balm to use the whole pound. Also, if you can find it from a local bee keeper (at a farmer’s market perhaps), you’d probably save rather than ordering it online or buying it at a store. If your goal in making homemade products is just to save money (as is mine) I would not purchase these ingredients just for lip balm. However, if you already have these ingredients on hand for other items, give it a try. Yes, very. Melt the beeswax bit by bit in the microwave, stirring in between. Anything you can make in the microwave is easy, right? Very well I think. It smells like honey, which I really like. Makes your lips soft and shiny. It has a really good texture – smooth and soft. I actually like this better than some of the sticky store bought lip balms. I did read somewhere that people with bee allergies might have a bad reaction to beeswax. I tend to have bad reactions to bee stings but I’ve never had a problem with honey and the beeswax didn’t bother me at all. Maybe just use a tiny bit on your hand or something first to make sure its ok.